The Question, Tuesday 6/30/15: Will Viewers Visit the Zoo? 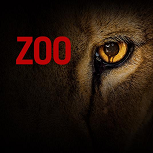 Tonight, CBS premieres the new drama Zoo, based on a James Patterson novel about animal attacks on humans. Like previous CBS efforts Under the Dome and Extant (and unlike many scripted efforts on other networks), this show was explicitly intended for the summer. Certainly, CBS is hoping more for a breakout like Under the Dome (premiered at 3.3) rather than a ratings disappointment like Extant (premiered at 1.6 but still renewed). Will viewers visit the Zoo? That's The Question for Tuesday, June 30, 2015. Suits came around on the tail end of that roughly five-year period when USA was churning out new drama launches with mid-1 ratings like clockwork. Its lead-in Burn Notice opened the summer 2011 run with 5.167 million viewers and a 1.7 demo, and Suits held onto almost all of it with 4.636 million and a 1.6. Both shows plummeted the next week, to a respective 1.3/1.2, but they bounced back a bit from there and remained in a very close ratings lock-step. Suits even built from Burn Notice on a couple occasions, perhaps most impressively on 7/28/11 when it had a 1.5 to Burn's 1.4. Suits' first season fell pretty much in the middle of a tightly-packed upper tier of USA dramas, slightly behind Royal Pains (1.46) and Burn Notice (1.38) and just ahead of Necessary Roughness (1.23), Covert Affairs (1.23) and White Collar (1.22). Beyond season two, Suits hasn't really been able to transcend the general downward trend of the other programming on its network. It shed roughly 20% each of the next two summers, and more than that for the regular season runs. That kept it in about the same relative position in 2013, again narrowly behind Burn Notice in its final season and with about the same-sized lead over Royal Pains (-21%) and Covert Affairs (-20%). 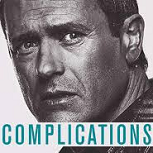 It was dropping just 23% in 2014 that saw the show make another pronounced move compared to the other USA dramas, as Royal Pains and Graceland were both down over a third and Covert Affairs almost half. With Burn Notice gone, that put Suits almost 50% ahead of the next-biggest USA drama. As it's continued to take fairly reasonable-sized drops, it was not truly overshadowed by one of its USA peers until 2017, when its own lead-out The Sinner built on it significantly. Let's take a look at the 2014-15 season (the sixth overall) of Shark Tank on ABC. FINALS UPDATE: The NBA Finals adjusted up to 8.9 with 23.25 million viewers, up by 1.3 points from the previous couple games. That's 31% above last year's Game 5 finale and a slightly better finale spike than last year's series. The soccer on Fox inched up to 1.8, as did America's Got Talent (2.3) to go even week-to-week. ABC's NBA Finals basketball wrapped up for the series with a preliminary 7.2 rating from 9:00-11:00, which is 10-15% above the low-6 prelims for recent games (which adjusted up to mid-7's). It'll probably adjust up more due to the championship moment coming after primetime, but a double digit average feels like a reach. Still, it'll easily destroy the 6.8 average for last year's finale. NBC's original lineup had to endure another big dose of sports. While America's Got Talent (2.2) held up OK again, I Can Do That (1.3) got slammed against the bigger NBA hour. FINALS UPDATE: Game 5 of the Finals adjusted up to 7.6, tying Game 4 as a series high. HBO got a nice finale spike out of Game of Thrones (4.14), which nearly got all the way back to the series high for the season premiere (4.19 on 4/12/15). GoT had been down year-to-year since the halfway point of the season, but this point was 9% above last year's finale. On Friday, the second USA match in the Women's World Cup averaged a preliminary 1.5 for Fox from 8:00 to 10:00. It should be up from the USA opener last Monday on Fox Sports 1 (1.28). Saturday saw the NHL return to NBC (1.5) after moving to NBCSN for a couple games. The prelim for Game 5 was slightly below last Saturday's preliminary 1.7. And Sunday had Game 5 of the NBA Finals on ABC. The 6.2 preliminary 18-49 average from 8:00 to 11:00 was just barely above the average in the same period last Sunday. The household overnight hit another new series high 14.2. In entertainment land, Golan the Insatiable (0.6) and American Odyssey (0.5) inched up from last week's lows. ABC has some premieres next week! FINALS UPDATE: Game 4 of the NBA Finals adjusted up to a series high 7.6, a scorching 27% ahead of Game 4 last season. Bones (1.2) and CBS' sitcoms also adjusted up. On another Thursday dominated by the NBA Finals, Fox's dramas again shone brightest among the scripted originals. Wayward Pines (1.2) ticked back up to tie its high point, while the Bones finale (1.1) was even with last week. NBC's Aquarius (0.8) mercifully got back a tenth back after last week's collapse, but Hannibal (0.5) made up for it by descending into truly ugly territory. And the CW opened season three of the now summer drama fixture Beauty and the Beast with the same 0.3 it hit for 20 out of 22 episodes last season. Leading out was an iHeartRadio Pool Party special (0.3), even with last year. ABC's NBA Finals had a preliminary 6.3 A18-49 from 9:00 to 11:00, which was about 10% better than the same prelim period on Tuesday and last Thursday. Though there was no late-game drama this time, it could adjust up to a series high. Let's take a look at the 2014-15 season (the fifth and final overall) of Boardwalk Empire on HBO. FINALS UPDATE: The NBA Finals ended up at 18.77 million viewers and a 7.3 demo, each down just a smidge from Game 2 and still way ahead of the 2014 pace. Hell's Kitchen (1.1) adjusted up to avoid a new low, but iZombie didn't. The NBA Finals took its first crack at the Tuesday regulars, and it now looks likely it'll be in play again next week. NBC held up pretty well, with America's Got Talent (2.3) down just a tenth and a reasonable 12% behind the episode on this night last year. Its lead-out I Can Do That (1.6) preliminarily gained a tick back after last week's decline (though the 1.8 -> 1.4 half-hour breakdown is pretty ugly). On Fox, Are You Smarter Than a 5th Grader? (0.8) inched up, but the finale of Hell's Kitchen (1.0) dropped to a new low (and miles behind last year's 1.7 finale). And much like The 100 last year, iZombie (0.5) dropped for the last episode of its summer run, though with a 0.5 -> 0.6 breakdown it may be close to adjusting up. As for the NBA Finals, they hit a series high 13.7 in the household overnights and should be way up year-to-year again in the demo. The two-hour A18-49 prelim (5.8) was a touch better than Thursday's rating. Let's take a look at the 2014-15 season (the sixth and final overall) of Cougar Town on TBS. The NBA Finals Game 2 on Sunday adjusted up to 19.17 million viewers and 7.4 demo rating, up a whooping 23% from Game 2 last season. This was the biggest Game 2 in viewership since 1998, and the biggest Game 2 demo in my 14 years of records. Also on Sunday, The Tony Awards (1.0) avoided going sub-1 for the first time, and a few of the Fox comedies including Golan the Insatiable (0.5) also went up. Game of Thrones had a very impressive 3.65 for HBO. On Saturday, the Stanley Cup Finals adjusted up to 1.9, tying Game 1. Friday's What Would You Do? (1.1) and Whose Line Is It Anyway? (0.5) adjusted up while The Messengers (0.2) was down. ABC got overtime once again for Game 2 of the NBA Finals, which averaged a preliminary 6.1 A18-49 rating from 8:00 to 11:00. This was up from a 5.0 prelim average in the same period last year, which later adjusted up to 6.0. This game started an hour earlier so it may not adjust up as much as the Thursday game, but the time zone-adjusted household overnight was very similar to Thursday's Game 1 (which ended up with a 6.9 final). ABC's dominance left little for everyone else. The Tony Awards on CBS (0.9) preliminarily dipped below 1.0 for what is likely the first time ever. And scripted originals A.D. The Bible Continues (0.7), American Odyssey (0.4) and Golan the Insatiable (0.4) all got crushed. Friday's winner was the NBC re-air of the film Jurassic Park (1.2), which had pretty great numbers by movie standards the week before Universal's new installment Jurassic World is released in theaters. Meanwhile, What Would You Do? (1.0) came back to earth for ABC, but a very good showing from 20/20 (1.4) made up for it. Saturday was all about NBC's Game 2 of the Stanley Cup Finals, which started before primetime but had a prelim 1.7 for the two primetime hours. I'll update after finals.